The "Funniest Movie You'll Ever Read" ha! 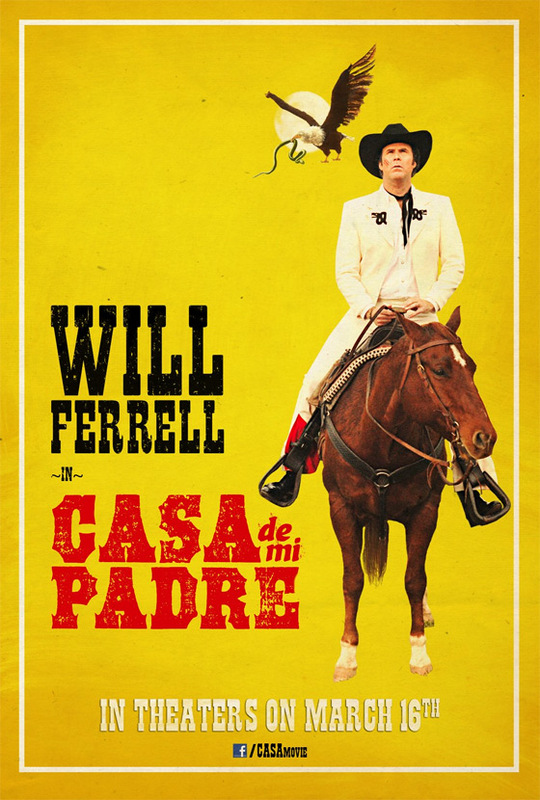 Our friends at IMPAwards have posted the third official poster for Will Ferrell's Casa de mi Padre, his Spanish-language comedy that we've been talking about for a while. In addition to the final new poster, there's another yellow teaser poster we never featured before, but is just as funny - so I'm hitting two snakes with one eagle (get it?). We've already seen one teaser trailer and a teaser poster before, but I absolutely love these posters, especially the third newest one. They're hilarious and brilliantly designed for this film perfectly, already some of my favorites of 2012 already. See both below! 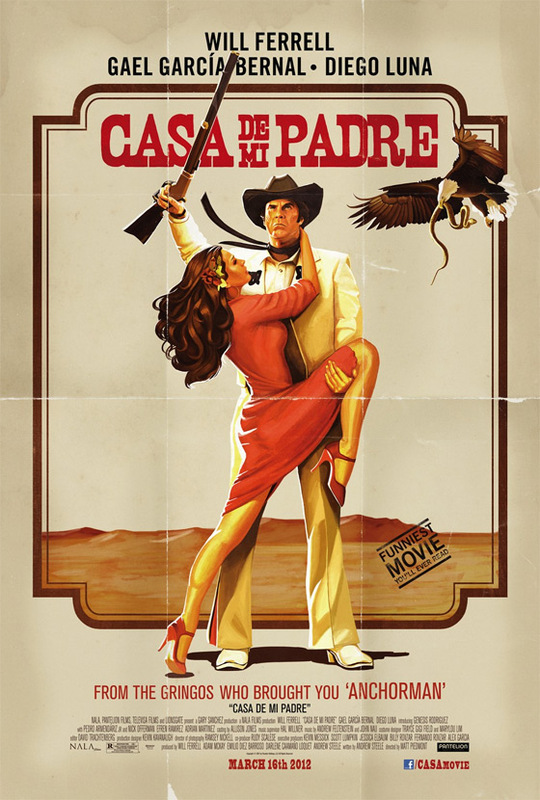 Here's the second teaser poster for Casa de mi Padre that I think is a fairly simple but amusing design. This will be awesome-o! Que Bueno! A "hilarious poster". Really? Hilarious? Wow. Dunno if they're hilarious, but they're pretty cool! I'd like to extend my deepest condolences to Mr. Pedro Armendariz Jr's family; Mr. Armendariz sadly passed away on Monday 12/26/11 due to cancer! I post this because there has been no mention of his death on this site and because he had the role of 'Miguel Ernesto Alvarez' in this flick, clearly a relative to Ferrell's character 'Armando Alvarez'. ...Mexico has lost one of it's few true talents and the international acting world has surely lost a very iconic actor who has left us an extensive legacy in film/theater/TV! May you rest in peace, Mr. Armendariz! "Funniest movie you'll ever READ", hehe. Looks good, I like the yellow one the best. I reckon for distressed type folk need to make more effort, but that's some geeky designer stuff, I always think it's better to start with a clean font and use the textures to distress them. All the letter A's have the same texture.